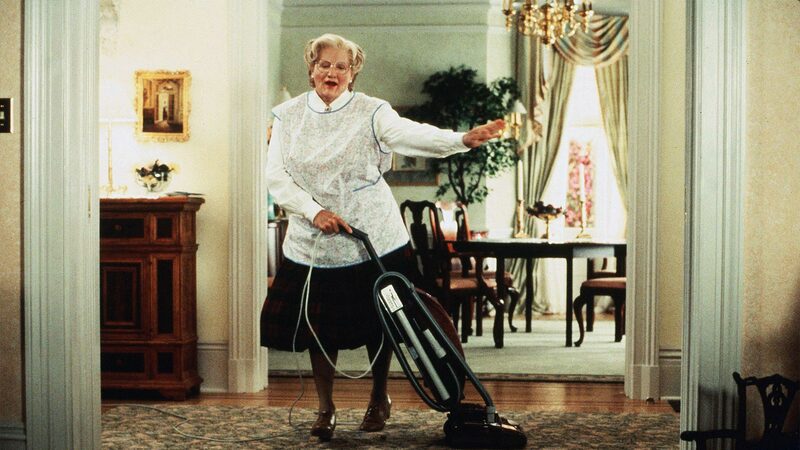 Robin Williams in “Mrs. Doubtfire,” working under cover to care for his children. The famous restaurant scene, where Mrs. Doubtfire performs the Heimlich maneuver on Pierce Brosnan, was filmed at a Danville restaurant.